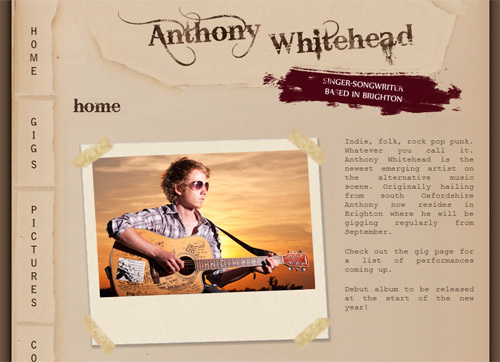 Website designed for singer and songwriter Anthony Whitehead from Brighton. Based on a ‘note book’ theme, to look like the pages of his note books in which he writes songs. Anthony is able to upload and change the content through WordPress CMS (Content Management System). The photographs were also taken by me and styled to look like Polaroid photographs in his notebook.